7 ways Millennials are shifting food trends. Millennials are embracing fat and turning away from sugar. According to IFIC, 47% of Millennials say animal protein is healthy compared to 26% of old generations. Millennials prefer whole foods over processed alternatives. Instead of having three large meals throughout the day, Millennials prefer snacking often throughout the day. What this means for restaurants is that they have added more “snack” items to their menu. And just to be clear – it can’t just be any snack option. The snacks need to be healthy, and nutritious. Acai bowls, buddha bowls, ramen, roasted chickpeas… If it sounds obscure, odds are you should add it to your menu. The meaning of healthy is evolving. If you were to have a conversation with a Millenial about what healthy means to them, they wouldn’t use words like low-fat or high in fiber. Instead, they will use terms like organic, local, sustainable or natural. Providing quality ingredients will be key to keeping these customers happy and coming back for more. Millennials are also heavily dependent on tech. There was a time that technology and food didn’t overlap as significantly as it does today. As a result of this intertwined relationship, buying habits have changed. 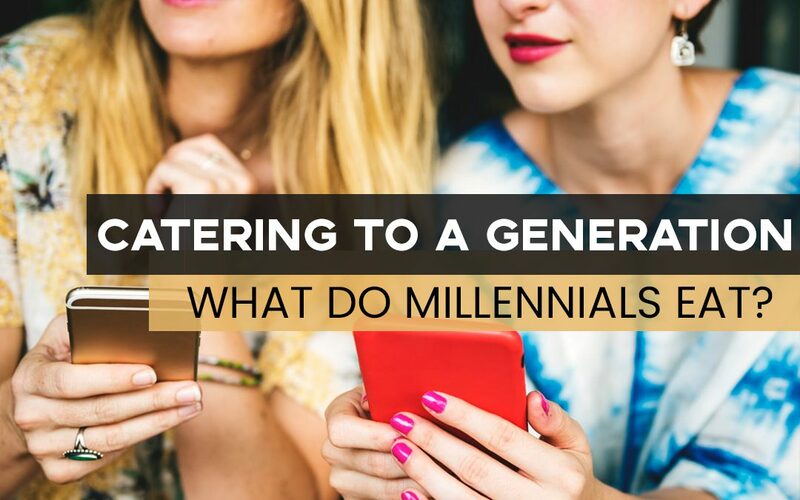 According to the International Food Information Council’s 2017 Food and Health Survey, 55% of millennials say convenience is a top driver when buying food, while baby boomers say taste matters more. Millennials are demanding convenience and speed with their food. There is a reason you’re seeing meal kits, quick grab-and-go options at grocery stores, and online ordering everywhere. Millennials are open-minded and curious. If you think you have them all figured out, think again.